Summary: Prom night is finally here. Three girls will find that the biggest night of high school can also be the most surprising…. Ashmita Montague has fallen for the perfect prom dress—but it’s way over her budget. 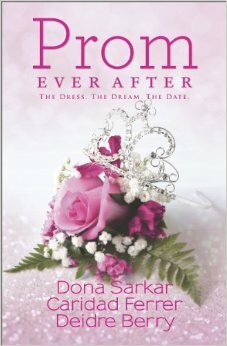 How can she impress the school’s star athlete while wearing her mom’s hand-me-down Indian wedding dress? Then she gets creative and decides to revamp the dress with the help of her best friend Sebastian. A sudden unexpected chemistry takes Ash by surprise and makes her wonder if it’s time to make some major alterations to her love life, too…. Peyton Chaffee’s wealthy parents won’t believe she’s serious about becoming a chef until she proves herself by working in the kitchen for a prestigious event…on prom night. They disapprove of her culinary ambitions and her boyfriend, Eddie. Is she ready to sacrifice one unforgettable night for a chance that could change her entire future?